Star Trek was never immune to nasty tropes, despite it’s progressive veneer. 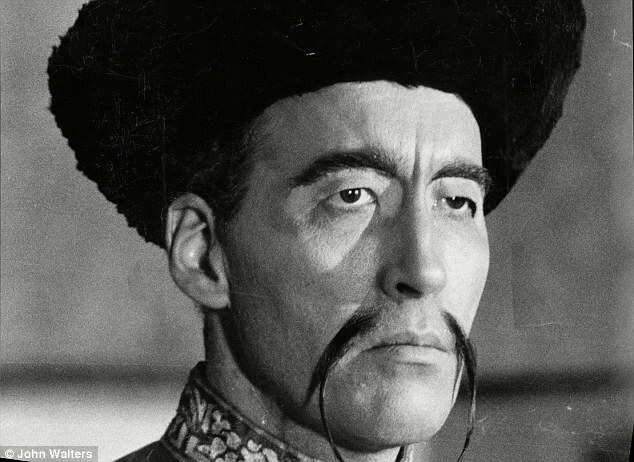 The Klingons, for instance with their Fu Manchu facial hair, are very much designed to take advantage of the “Yellow Peril” motif sci-fi villains, including Ming the Merciless, had already been using for decades. Another quick and easy short hand for an evil-doer is feminization. The effeminate gay man has been a trope for villains going back to Peter Lorre’s perfumed “Joel Cairo” in The Maltese Falcon and even further back than that. Disney uses this trope a lot in it’s animated features. Scar, Jafar, Governor Ratcliffe, and Captain Hook all have something in common besides their foppish, preening nature: eye makeup. That’s something I noticed while studying the Kelvans for this comic. All the men are wearing thick eyeliner, painted eyebrows, and, I believe, white face powder to make those things and the natural pinkness of their lips really stand out. The lightening of the Kelvans’ skin is hard to notice in the recent DVD and Bluray releases because I don’t think the color correction crew knew it was there. In wide shots all the Kelvans are a good shade or two lighter than our heroes while in the closeups they are equally dark. The eye makeup, however, is even more painfully apparent in high definition. The eyeliner effect had been used earlier in the series to differentiate evil Kirk from his good counterpart in The Enemy Within. Obviously this is an offensive trope, but it’s one I’ve decided to retain in the comic because, if you haven’t noticed yet, my Kelvans aren’t villains and I find nothing inherently grotesque in a man wearing makeup. A lot of gorgeous men have donned eye makeup in recent years. It looks good on them and I think it looks good on our put-upon Andromedans. They may have been demonized in eyeliner, but they’ll be redeemed in it too. And they’ll look fabulous doing it. I’d never really noticed it with Disney villains, because I remember watching old Disney shorts where characters had painstakingly painted eyelids, even Pluto. Trek, though… oh, yes. There’s probably a cogent argument out there for Evil Kirk, using the eyeliner to emphasise the mad light of his eyes, but there’s a reason why the TNG Klingons don’t like to talk about their TOS era ancestors.